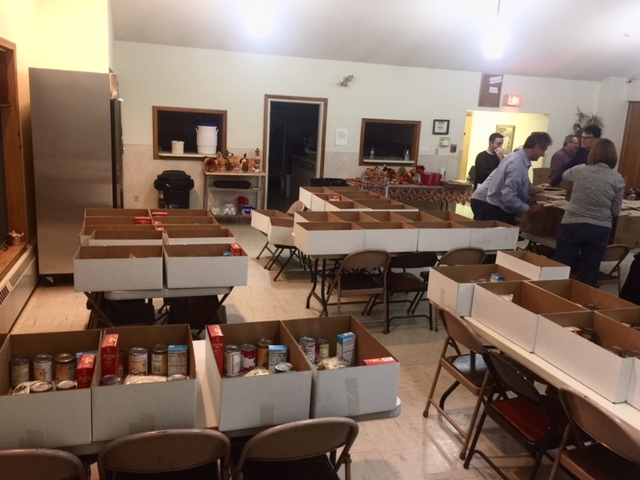 10 volunteers gathered together on Thursday, November 16, to put together 92 Thanksgiving boxes for our patrons. This is an annual project of the Wilton Food Pantry. Boxes were geared to the size of the families who signed up. 305 people will have a better Thanksgiving thanks to these volunteers.